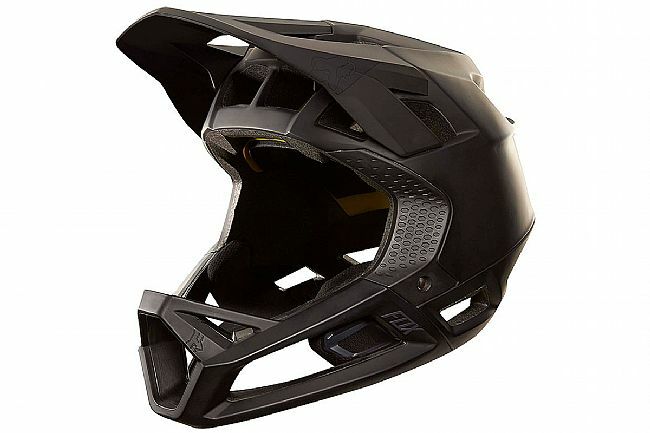 The Proframe is the lightest full-face helmet that Fox has ever produced. Weighing at just 750 grams, this featherweight helmet was designed from the dirt up to perform at the highest levels of all-mountain or enduro racing. With the Varizorb™ EPS liner, impacts are spread across a significantly wider area via the multiple-density cone shaped EPS foam. 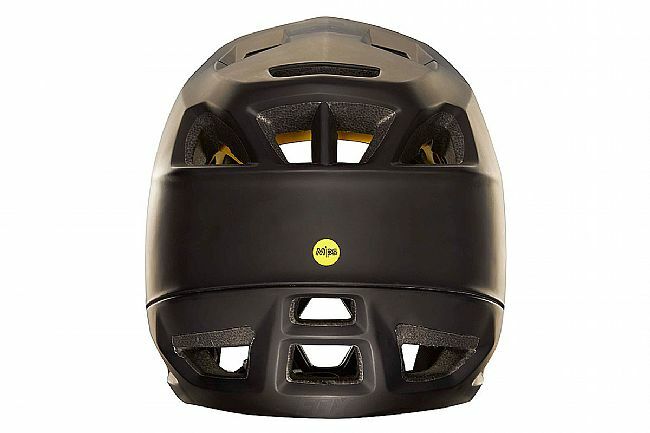 The integrated chinbar is secured to the main helmet structure, meeting ASTM downhill standards. On top of all that, Fox has added in the MIPS™ multiple impact protection system to reduce rotational forces during a crash. 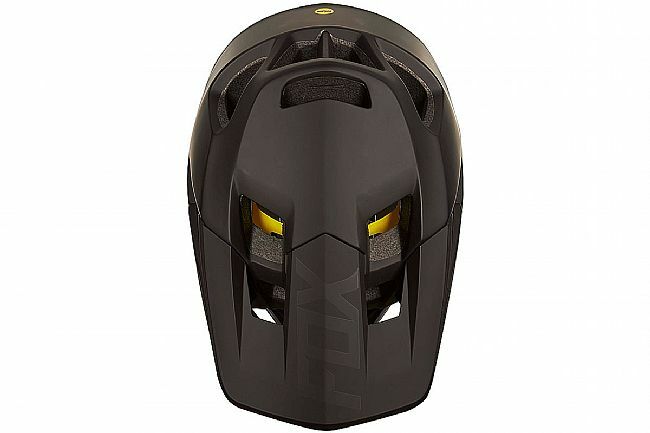 The fixed visor is positioned perfectly to funnel air directly into the Big Bore vents, resulting in one of the most breathable downhill approved helmets on the market. The 24 vents aren’t just for ventilation, they help to keep this helmet light. To round the helmet out, Fox’s Fidlock™ helmet buckle uses magnets to provide quick in or out, even with gloves. MIPS™ multiple impact protection system reduces rotational forces in the event of a crash. Fixed chinbar meets ASTM downhill standards. Fixed visor channels air directly into the 24 Big Bore vents. Unfortunately this helmet got to prove its worth on its maiden voyage. I launched myself over the bars on a twisty desent and bounced off my head. 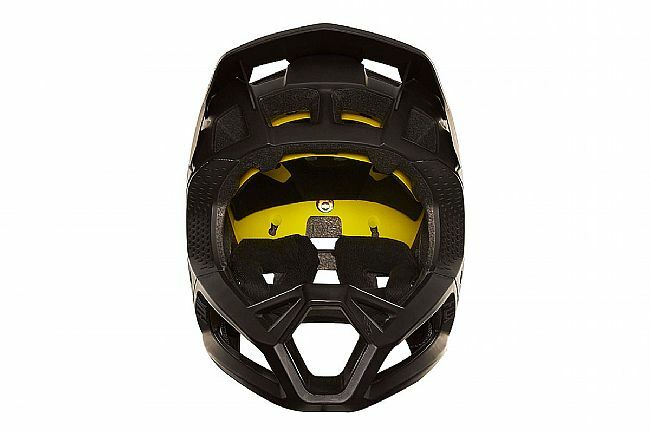 Thankfully my fox proframe kept my dome in one piece and only took a little bit of rash and a decent scratch. The fact that its matte black hides the blemishes it fits great and breaths unbelievablely well. I could not have asked for more from my first experience with a full face. Thanks bike tires direct for the great price and fox for making an amazing product.